The average cost of assisted living in Big Bear City is $2,800 per month. This is lower than the national median of $3,346. Cheaper nearby regions include Banning with an average starting cost of $2,800. To help you with your search, browse the 1 review below for assisted living facilities in Big Bear City. On average, consumers rate assisted living in Big Bear City 5.0 out of 5 stars. Caring.com has helped thousands of families find high-quality senior care. To speak with one of our Family Advisors about assisted living options and costs in Big Bear City, call (855) 863-8283. Big Bear City is an old prospecting town in the high desert mountains south of Victorville, not far from Lake Arrowhead and on the cusp of the deep Mojave depression to the east. Over 12,300 people live in Big Bear City, nearly 19 percent of them seniors aged 65 and over. 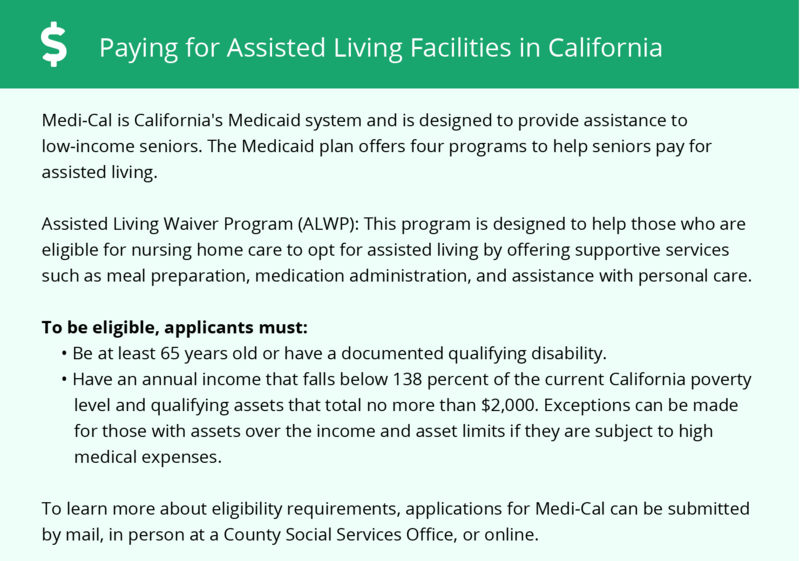 The area in and around town supports three assisted living facilities, which are licensed through the California Department of Social Services' Community Care Licensing Division. The weather in Big Bear City is variable and can be unpredictable. Summers in Big Bear City are warm to hot, with average high temperatures of 81 degrees in August. Winters plung to average lows of just 29 degrees. Snow sometimes falls in Big Bear City, but in warmer weather the town gets over 41.5 inches of rain a year. The surrounding wilderness can react to the damp by raising pollen and mold counts, which may aggravate the allergies of seniors with asthma, especially in late spring. The cost of living in Big Bear City is just 9 percent higher than the cost of living nationwide. This is relatively low, compared with the average 69 percent higher then national cost of living in California generally. Healthcare is similarly affordable in Big Bear City, where seniors who need medical attention tend to pay up to 17 percent less for services than the national average cost. Crime rates in Big Bear City are around 50 percent higher than the national average, mainly in property crime categories. Violent crime rates tend to stay well below the national average in most categories. Public transportation in Big Bear City is largely provided by Mountain Area Regional Transit Authority (Mountain Transit). Mountain Transit offers half-off on fares for seniors, veterans and riders with disabilities. Dial-a-ride and assisted medical transport is available when booked in advance. The Big Bear City area is home to world-class medical facilities, including those specializing in brain health and dementia care such as Bear Valley Community Hospital and Mountains Community Hospital, in the event of medical emergencies or illness. Big Bear City has an array of community resources for seniors, including the San Bernardino County Office of Aging and Adult Services, an organization that provides free legal help for seniors in Big Bear City, along with in-home support services and respite care, as well as one senior center. Assisted Living costs in Big Bear City start around $2,800 per month on average, while the nationwide average cost of assisted living is $4,000 per month, according to the latest figures from Genworth’s Cost of Care Survey. It’s important to note that assisted living rates in Big Bear City and the surrounding suburbs can vary widely based on factors such as location, the level of care needed, apartment size and the types of amenities offered at each community. 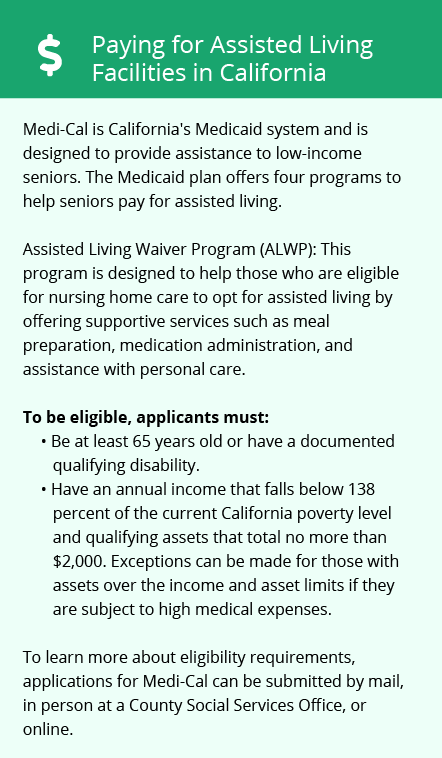 Seniors in Big Bear City who meet the federal income and asset guidelines for Medicaid may be qualified for a Home and Community Based Services (HCBS) waiver. This waiver helps San Bernardino County seniors pay some or all of the cost of assisted living, as an alternative to nursing home care. Big Bear City and the surrounding area are home to numerous government agencies and non-profit organizations offering help for seniors searching for or currently residing in an assisted living community. These organizations can also provide assistance in a number of other eldercare services such as geriatric care management, elder law advice, estate planning, finding home care and health and wellness programs. To see a list of free assisted living resources in Big Bear City, please visit our Assisted Living in California page. Big Bear City-area assisted living communities must adhere to the comprehensive set of state laws and regulations that all assisted living communities in California are required to follow. Visit our Assisted Living in California page for more information about these laws.